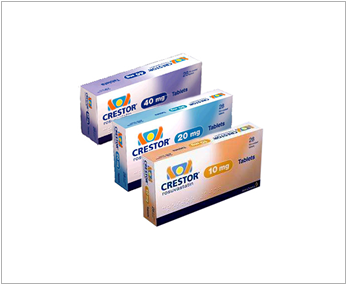 Crestor is a prescription only medicine that belongs to a group of cholesterol-lowering medicines called statins. Along with diet, Crestor lowers 'bad' cholesterol (LDL-C), increases 'good' cholesterol (HDL-C), and also slows the progression of atherosclerosis in adults with high cholesterol, as part of a treatment plan to lower cholesterol to goal. Cholesterol is a fatty substance, also called a lipid, normally found in your bloodstream. Your body needs a certain amount of cholesterol to function properly. But high cholesterol can lead to health problems. LDL-C is called bad cholesterol because if you have too much in your bloodstream, it can become a danger to your health and can lead to potentially serious conditions. HDL-C is known as good cholesterol because it may help remove excess cholesterol. Common health factors such as diabetes, high blood pressure, smoking, obesity, family history of early heart disease, and age can make controlling your cholesterol even more important. Most of the cholesterol in your blood is made in the liver. Crestor works by reducing cholesterol in two ways: Crestor blocks an enzyme in the liver causing the liver to make less cholesterol, and Crestor increases the uptake and breakdown by the liver of cholesterol already in the blood. 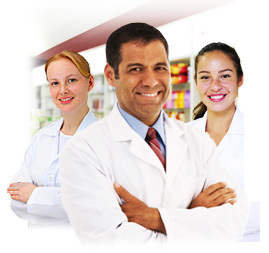 Take Crestor exactly as prescribed by your health care professional. Do not change your dose or stop Crestor without talking to your health care professional, even if you are feeling well. Your health care professional may do blood tests to check your cholesterol levels before and during your treatment with Crestor. Your dose of Crestor may be changed based on these blood test results. Crestor can be taken at any time of day, with or without food. Swallow the tablets whole. You can buy Crestor online with or without a prescription at Medical Specialists, after completing a simple online consultation. Just complete an online consultation by clicking the orange button above. 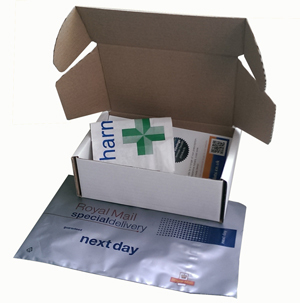 We are the UK’s leading supplier of statins, and Crestor for sale in the UK and our pharmacy is regulated by the Royal Pharmaceutical Society of Great Britain. For full patient information, please read or print out the leaflet provided at the bottom of this page about Crestor. be increased if you are taking certain other medicines with Crestor. This is not a complete list of side effects of Crestor. Tell your health care professional if you have a history of muscle pain or weakness, are pregnant or think you may be pregnant, or are planning to become pregnant are breast-feeding. Drink more than 2 glasses of alcohol daily, have liver problems, have kidney problems, have thyroid problems, are Asian or of Asian descent. Tell your health care professional about all medicines you take or plan to take, including prescription and non-prescription medicines, vitamins, and herbal supplements. take any medicine. Keep a list of your medicines with you to show your health care professional. If you need to go to the hospital or have surgery, tell all of your health care professionals about all medicines that you are taking.